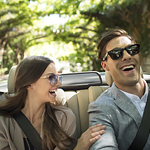 The team here at Isringhausen Volvo Cars believes that you should never start a road trip without first inspecting the key parts of your vehicle to ensure that they are all working well. If your brakes are squeaking or your vehicle tends to pull to one side, it is probably a good idea to address these issues before your big trip. Similarly, you should never go on a road trip without making sure that you have a spare tire in your vehicle and that it is in good shape. If you should happen to pick up a puncture on the interstate, you will need that extra tire to get going again.